When I checked Amazon earlier this month to download the new book by one of my favorite mystery writers I was shocked to see the price of $15.99 on the eBook, which was higher than the $11.51 for the paperback and just 20 cents less than the $16.19 hardcover! 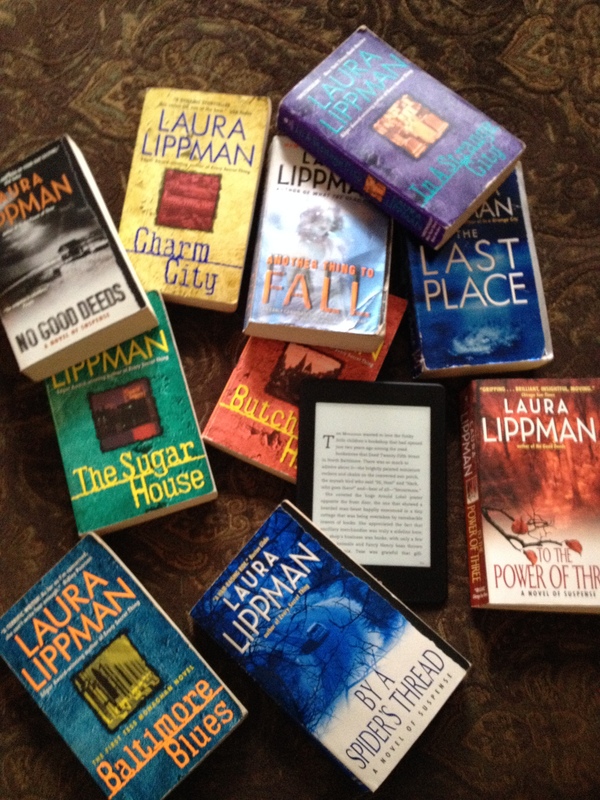 I’ve bought nearly every book Lippman has written. If not in paperback, I have it on my Kindle. I decided I’d be borrowing this one from the local library. Thankfully, the price is now down to $11.19. I saw a note by another reader that it had dropped to $13.59 at one point since the February 11 release before coming down more than $2. It’s still high for an eBook, but at least it’s now appropriately less than the paperback. And, of course, it’s Lippman and likely to be a fantastic read, so I’ll buy at this price. I’ve downloaded freebies and paid a little over $10 for eBooks, but it has to be a book I’m clamoring to read before I’ll pay that much. I recently bought John Grisham’s new “Sycamore Row” for a great price at $6.49, which was $3.50 less than the paperback on Amazon and a fantastic story! I would encourage publishers and writers to realize the impact of price. Readers may be big fans, but cost will influence most of us when deciding whether to buy your book. What’s your price limit on a book? If you’re a writer how do you decide pricing? This entry was posted in Writing and tagged After I'm Gone, book pricing, e-book, ebook price, ebooks, favorite author, John Grisham, Kindle, Laura Lippman, paperback price, Sycamore Row, Top 5 Fiction by Lori Ericson. Bookmark the permalink. I don’t think $10-12 is unreasonable for a paperback if it’s an author you really like. I agree, but the eBook should be cheaper than the paperback. I’ve paid $10 to $12 for an eBook and more for a paperback if it interests me as a reader. I just didn’t get the high original price for the eBook and glad they lowered it. Thanks for the input Russell! Quality books are of course worth more than just good books, definitely should be more than not so good books. Most of my ebooks are $5 to $6 set by the publisher, but then I’m no Laura Lippman or John Grisham. I agree. I’m just hoping this doesn’t become a trend. I can’t see how an ebook could be more than a paperback! Greedy publisher, I assume. Thanks for the response Velda. The price has dropped another 20 cents is listed at $10.99 now.